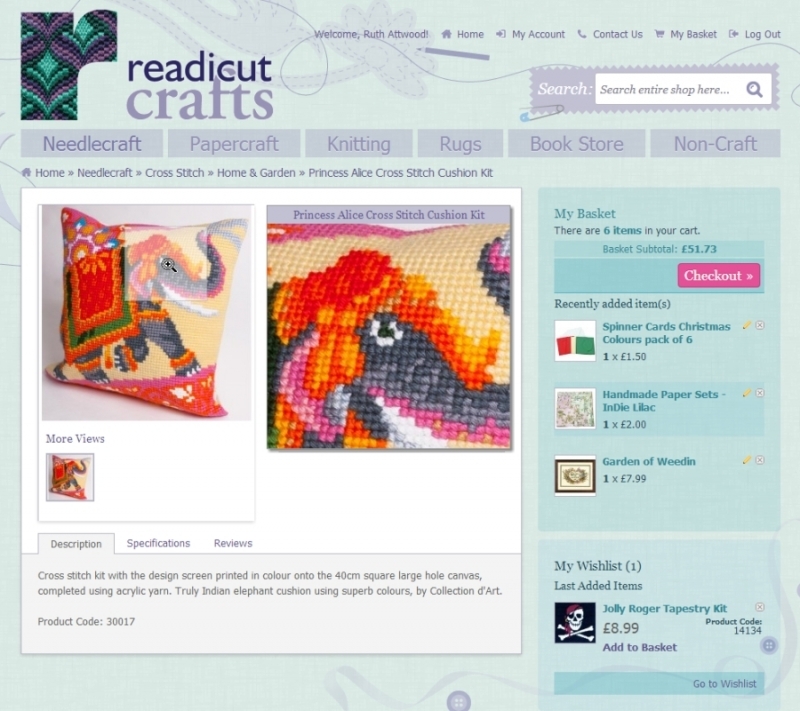 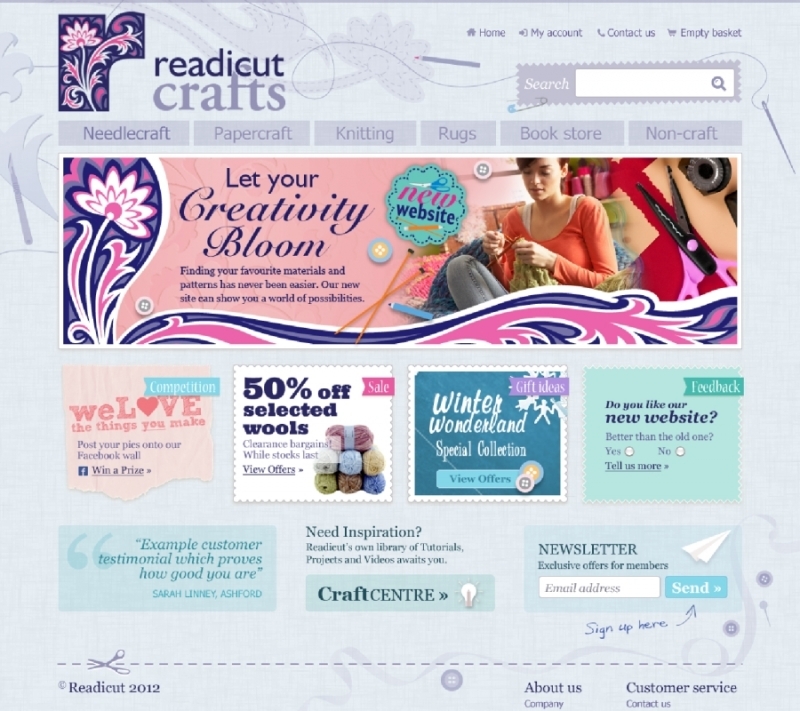 This Kent based crafts business wanted to move their online shop onto a new platform to allow them to more easily bulk upload products and improve the onsite search engine optimisation. 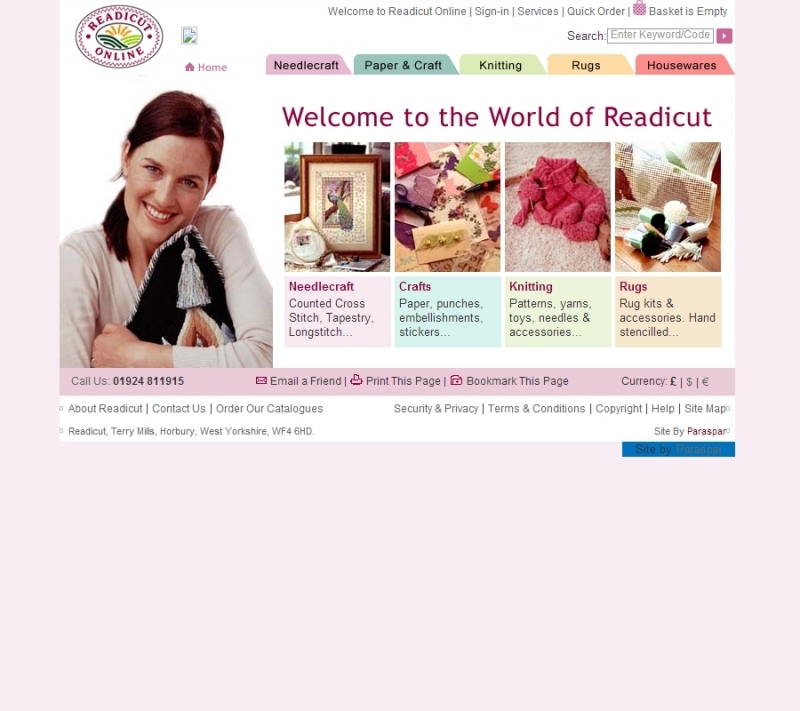 They also wanted the site redesigned to a more modern look and feel with improved functionality for product image zoom and advanced shop search filtering. 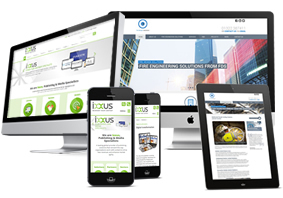 The client provided the core website design from a third party design agency but this did not include a complete design spec for all screens in Magento (like most eCommerce solutions, Magento has over 30 screens that all need to be fully designed). 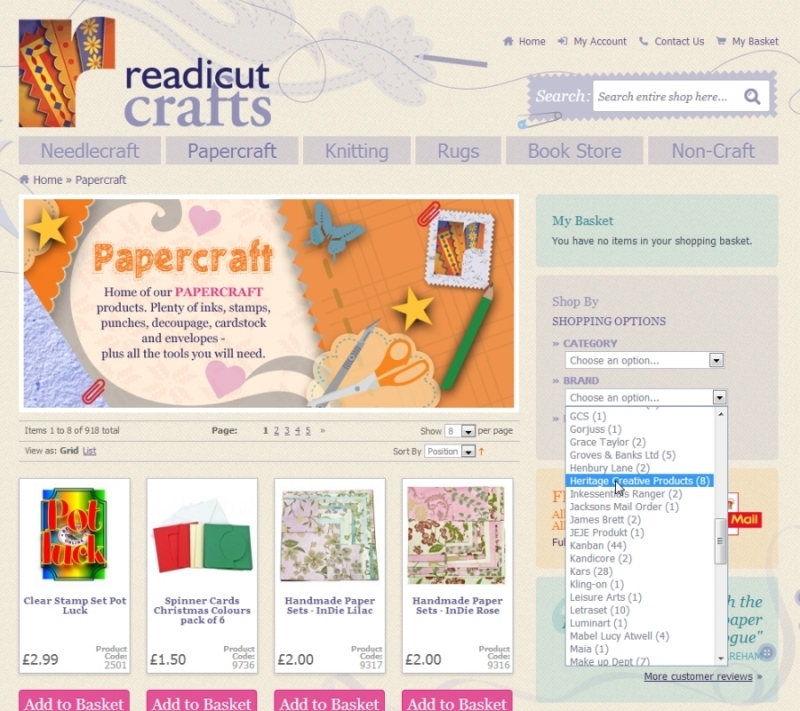 These are captures taken from the finished website when it went live, showing the main homepage design, advanced search filtering and image rollover zoom.